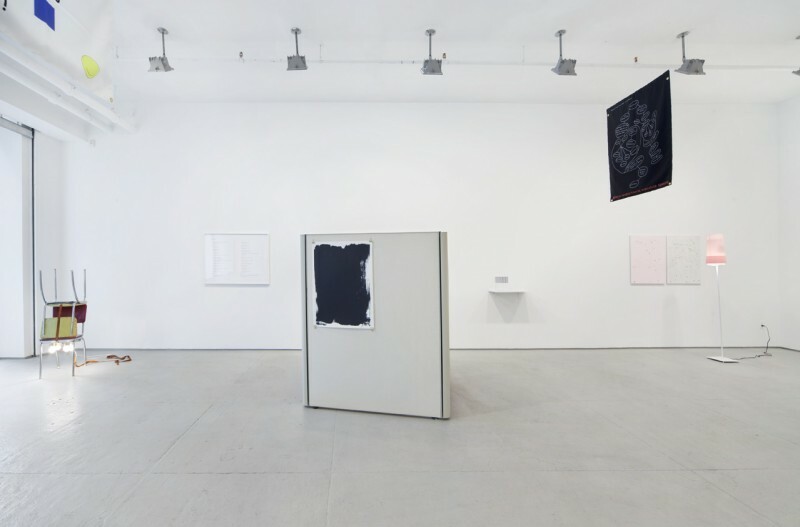 Today I Made Nothing is an exhibition in two parts, the second installment opening at Front Desk Apparatus in September. 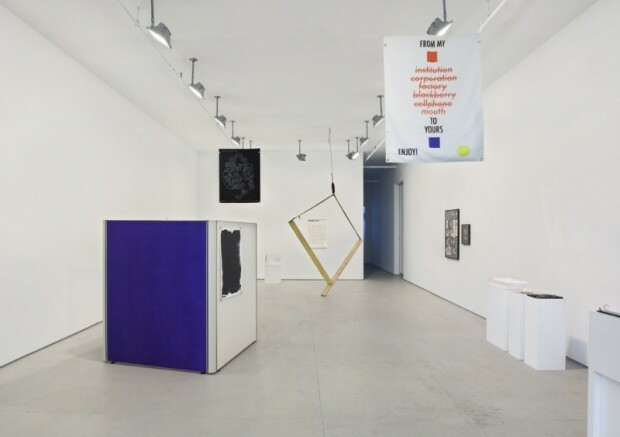 Additionally, the exhibition is accompanied by the first phase of The Library Project, presented at Elizabeth Dee by Front Desk Apparatus, an initiative that focuses on editorial creation, independent publications and the position of writing and design in contemporary practice. 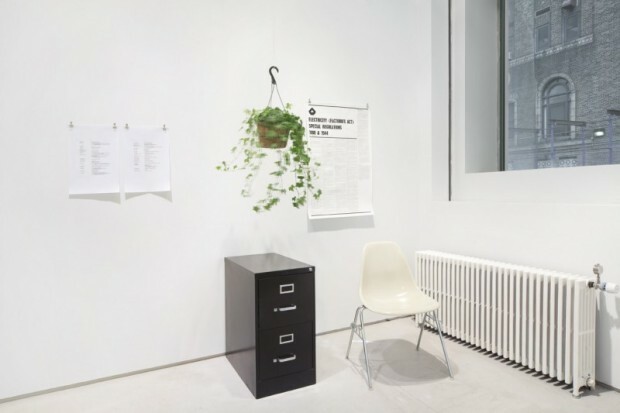 In a filing cabinet in the gallery’s office space, a selection of readings pertaining to the exhibition, aims to employ the office context as a framework that acknowledges, uncovers and excavates the library’s potential to generate concrete possibilities in the form of “living” research and knowledge production.